Yesterday, I had a ticket to see the classic, Oklahoma! at my favorite venue, Circle In The Square Theatre. Not sure what I witnessed. i recognized the iconic music from Rodgers and Hammerstein…Oklahoma, The Surrey With The Fringe On Top, Oh, What A Beautiful Mornin’. The pared down interpretation was unique. 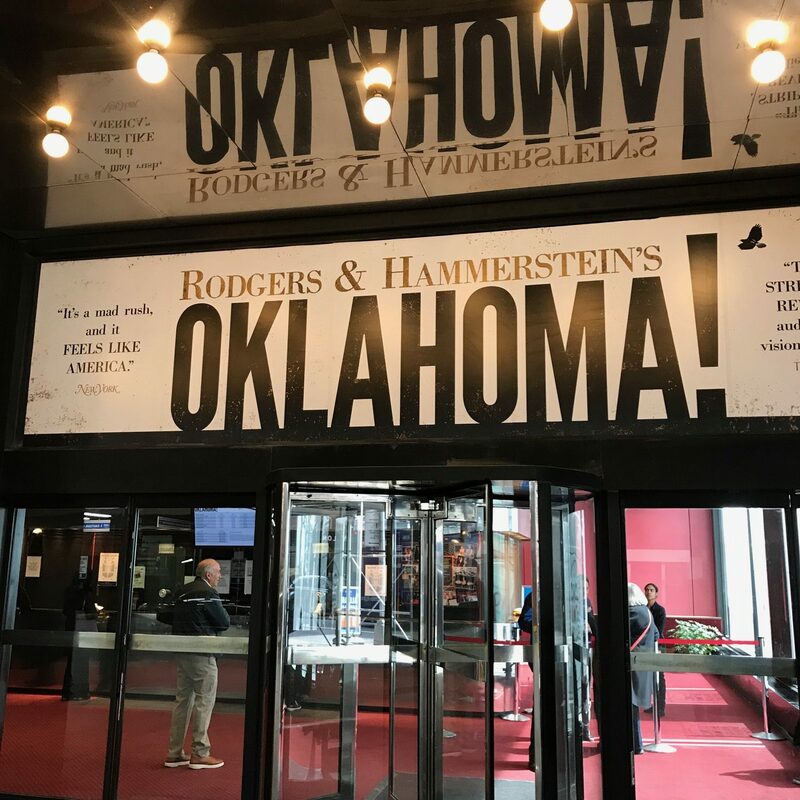 Oklahoma debuted on Broadway in 1943 and was the first show to thoroughly integrate songs, story and dance. 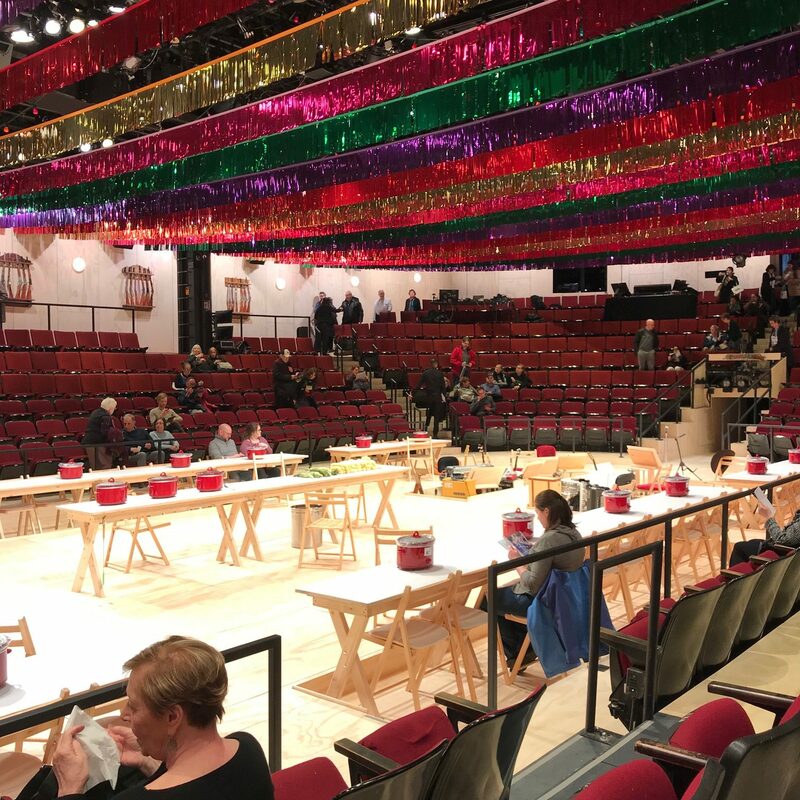 We viewed the show with all the house lights up and the atmosphere was conducive to attending a high school pot luck dinner/dance. Suddening, to add intrigue, you were plunged into total darkness for an extended period and let’s not overlook the opening of Act II which was a looooong interpretive dance. The ending was violent, damning and a clear interpretation of where society sits today. The cast is talented and yet curiously unappealing. I left confused, wishing to share thoughts…everyone around me did not like the play. From there I took the R train for the first time ever to Madame Vo BBQ which was outrageously expensive for absolutely nothing. Vietnamese is not supposed to be costly…2 shrimp, albeit large, for $38!! Strange day and today should be off the charts weird. I saw it at St Ann’s and loved it. I didn’t like the interpretive dance part. That was weird. I liked the stripped down version and hearing the songs done simply. Plus I love Naomi and Damon. I’m sure it will be different to see in on Broadway.